When is it Time for Replacement Tires? The best way to know when to replace your tires is to set a time to check them once each month and you will most likely discover problems before they become dangerous. This is a great time to keep an eye on your air pressure too. Keeping your tires at the proper psi will help avoid many serious tire problems. Check your vehicle owner’s manual for the recommended tire pressure. Checking the following items on each tire will help you avoid dangerous and costly tire repairs or emergency replacement. You never want to drive on tires with bald spots. Bald tires might be minutes away from going flat and because the tire, flat or not, will not function correctly. Your vehicle will be more likely to skid and slide, and braking will be compromised. By the time a tire shows bald spots, it has been dangerous for quite a while. Never let your tire tread get below 2/32” in depth. A safer habit is to replace your tires at 4/32”. Check the depth with a tread gauge. If you don’t have one, try the well known penny trick. Place your penny into a tread groove, with Abraham Lincoln head-first. If Abe’s hair is partially showing, you are on the borderline. It’s time for new tires. Modern tires are made with rubber bars that run perpendicularly across the tire, embedded in the tread. As your tread gradually wears away, the rubber bars become exposed. These are tread wear indicator bars, designed to alert you when your tread is wearing too low. Check your tread depth as described above, and watch your wear carefully. When your tire caucus develops weak spots, the tread can begin to separate. You can see this happening by the bubbles or bulging areas formed by the air escaping from the interior of the tire and pushing up against the tread. Replace your tires immediately, because bubbles or bulges are a warning about a possible upcoming blowout. Cracks on the sidewall are another warning that a blowout might be imminent. It also might mean a slow leak, which can be fixed. Have your tires checked by a professional if you can see obvious cracks. Maybe you can’t see it, but you can feel it. 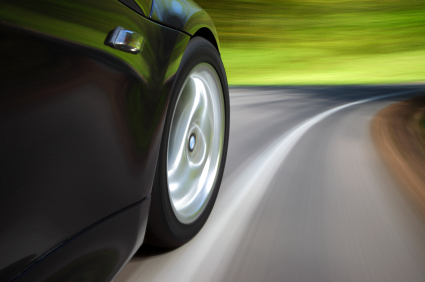 If your car vibrates when you drive, have your tires checked by a tire professional. There are many causes of excessive vibration, but the majority of vehicle vibration problems are tires based. If the vibration is caused by a defective tire that was the result of a manufacturer mishap, you are likely to qualify for a replacement tire.